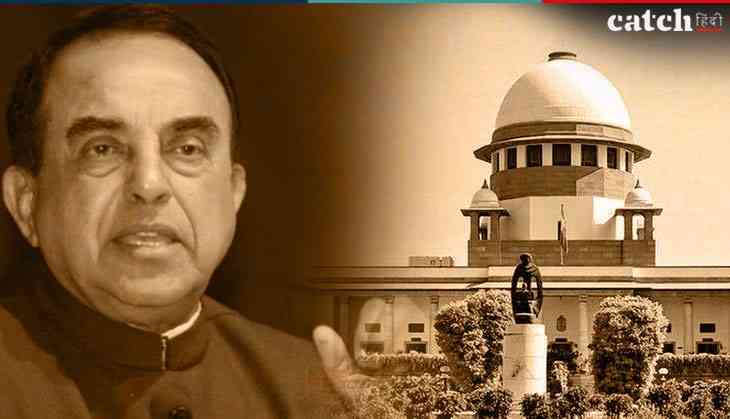 Bharatiya Janata Party (BJP) leader Subramanian Swamy on Monday said that the Supreme Court (SC) is not supreme to the Constitution, adding that along with the Parliament, the SC is also a pillar of the Constitution. Swamy made the statement in support to his tweet, wherein he asserted that if the Supreme Court fails to give a verdict in favour of Ram temple, the Parliament should chalk a law for the same. Speaking to ANI, Swamy said, "At least two years are needed for a decision by seven-judge bench on whether the masjid is an essential part of Islam. Why should we wait for so long? Because in the end, the SC isn't supreme in Constitution. SC is a pillar, and another pillar is the Parliament." "If the Parliament makes a wrong law that is against the Constitution, the SC becomes supreme. But the right to make a law is with the Parliament. I said we should choose the route of Parliament, I didn't confirm that we are going to take that route," Swamy added. Earlier on Monday Swamy had tweeted, "Tighten your seatbelt SC to pronounce whether 5 judge Bench judgment that masjid is not an essential part of Islam needs to be reconsidered by a 7 Bench judgment. If No, then we are on our way to Ram Temple. If Yes then we try Parliament," Swamy tweeted on Monday morning. On July 20, a three-judge bench of the Apex Court comprising of CJI Deepak Misra, Justices Ashok Bhushan, and Abdul Nazeer reserved their judgment on whether the matter should be referred to a Constitution Bench or not. The SC will likely deliver its ruling on the matter on September 28. The Babri Masjid, built by Mughal emperor Babur in Ayodhya in 1528, was, on December 6, 1992, razed to the ground allegedly by Hindu activists, claiming that the mosque was constructed after demolishing a Ram temple that originally stood there.